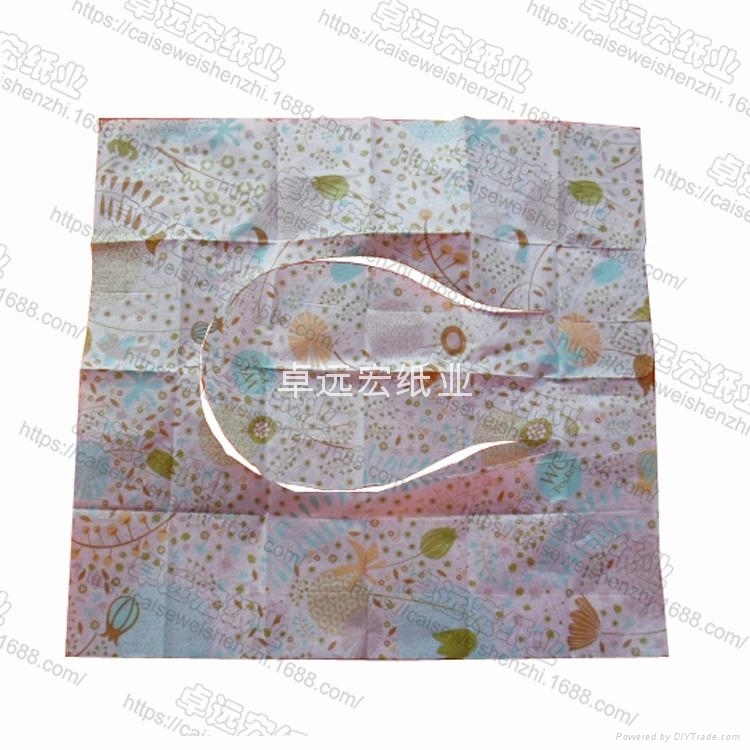 Firstly, offer your artwork of paper toilet seat cover to us, we will setup the printing plate. Colorfast even toilet seat cover wetted and No harm to skin while touching with body. Heavy metal contents in printing ink on paper toilet seat cover surface can pass the SGS test. (b) 3 layer, 16 inch x 16.54 inch ( 40cm x 42cm ), raw material must be tissue as same as toilet paper. (a) 1/8 folded, 10 sheet each polybag with head card. Polybag size will be 4.33 inch x 6.30 inch. (b) 1/16 folded, 10 sheet each polybag, Polybag size will be 4.33 inch x 3.15 inh , 24packs each displayb box. (c) 1/2 folded, 250 sheet each paper box, Paper box measurement will be 15.75 inch x 9.85 inch x 0.6 inch. No special shipping quantity limited. 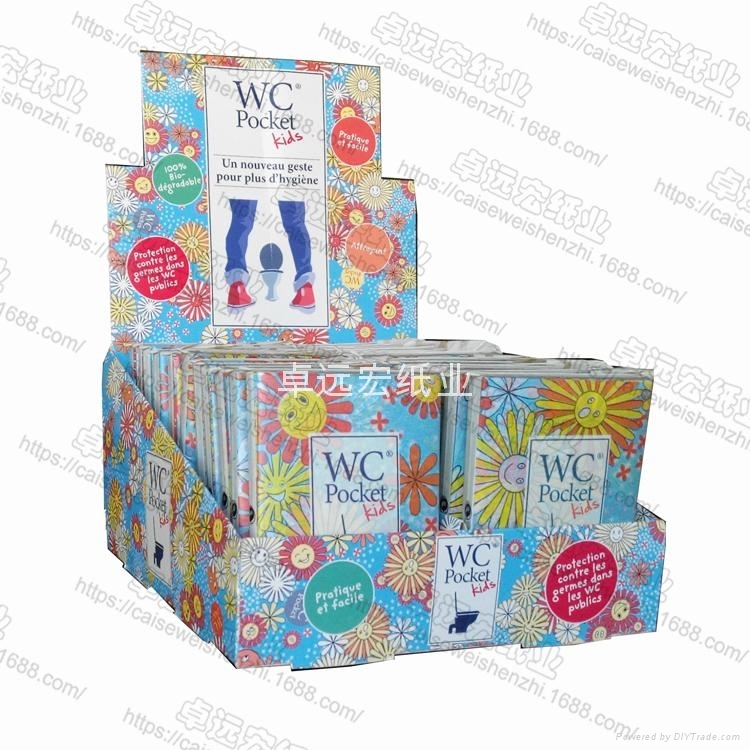 For small quantity such as 1000 packs, 2000 packs, or 5000 packs, we will act as sample order. 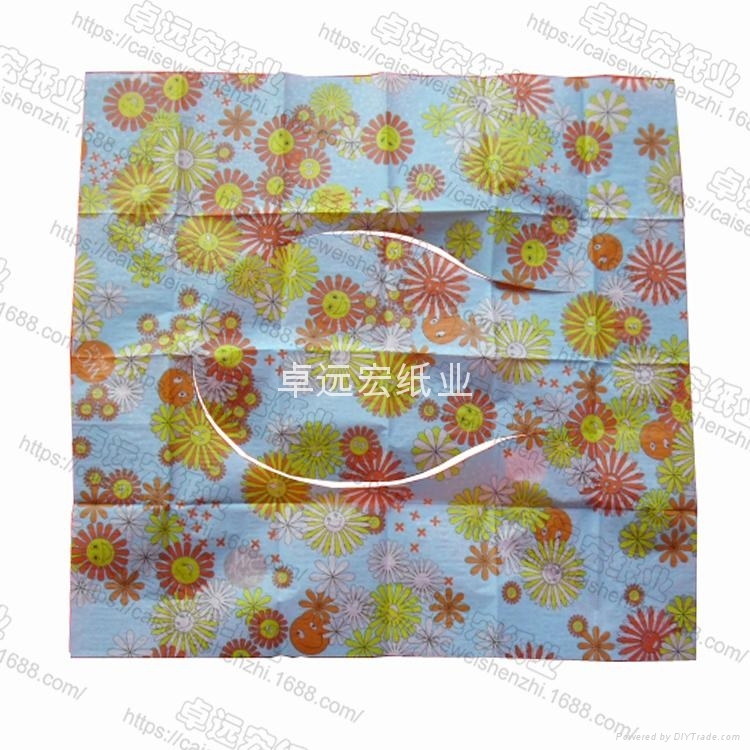 The lead time for bulk disposable paper toilet seat cover product is according to the actual order quantity. 15 days for less than 5000 rolls and 25 days for one 20ft container.